We will happily custom-tailor around your desired mileage, term or money down. Payment excludes tax, tag, title & Lemon Law fee. Lease applies exclusively to Stock #N18919. Purchase option at lease-end $34,341. 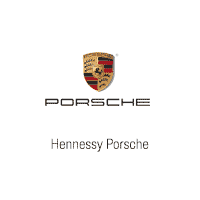 Tier 1 credit approval through Porsche Financial Services required. Offer expires April 30th, 2019. We will happily custom-tailor around your desired mileage, term or money down. Payment excludes tax, tag, title & Lemon Law fee. Lease applies exclusively to Stock #N181222. Purchase option at lease-end $40,920. Tier 1 credit approval through Porsche Financial Services required. Offer expires April 30th, 2019. We will happily custom-tailor around your desired mileage, term or money down. Payment excludes tax, tag, title & Lemon Law fee. Lease applies exclusively to Stock #N19520. Purchase option at lease-end $48,671. Tier 1 credit approval through Porsche Financial Services required. Offer expires May 31st, 2019. We will happily custom-tailor around your desired mileage, term or money down. Payment excludes tax, tag, title & Lemon Law fee. Lease applies exclusively to Stock #N19503. Purchase option at lease-end $46,190. Tier 1 credit approval through Porsche Financial Services required. Offer expires April 30th, 2019. We will happily custom-tailor around your desired mileage, term or money down. Payment excludes tax, tag, title & Lemon Law fee. Lease applies exclusively to Stock #N181216. Purchase option at lease-end $62,245. Tier 1 credit approval through Porsche Financial Services required. Offer expires April 30th, 2019. We will happily custom-tailor around your desired mileage, term or money down. Payment excludes tax, tag, title & Lemon Law fee. Lease applies exclusively to Stock #N181352. Purchase option at lease-end $62,090. Tier 1 credit approval through Porsche Financial Services required. Offer expires April 30th, 2019. We will happily custom-tailor around your desired mileage, term or money down. Payment excludes tax, tag, title & Lemon Law fee. Lease applies exclusively to Stock #N181288. Purchase option at lease-end $101,379. Tier 1 credit approval through Porsche Financial Services required. Offer expires April 30th, 2019.